Currently the majority of Hong Kong’s water (over 70%) comes from the Dongjiang river basin in Southern China. The rest comes from local catchments. An agreement is in place for the Dongjiang water supply but the river flows through Guangdong and industrial demand for this water is high in China. In 2012, the total water demand was 1,200 million cubic meters. About 23% of water supply is seawater which is used for toilet flushing. Another 20% is surface rainwater collected from the local water gathering grounds and the remaining is the imported Dongjiang (DJ) water under the DJ Water Supply Agreement. Hong Kong has a relatively high domestic consumption per capita when compared to other developed cities. The cost of water to end users is low – in fact one of the lowest in the world, providing little incentive for end users to reduce consumption. Included in these plans from the Hong Kong government is a 90 million m3/year desalination plant. The government plans to build a desalination plant in Tseung Kwan O, which is expected to have a unit cost of $12/m3. Hong Kong’s planned Tseung Kwan O project will be the first desalination facility since the Lok On Pai site, constructed 40 years ago but decommissioned in 1982. In 2005 Hong Kong’s WSD conducted a successful pilot study on reverse osmosis (RO) desalination at Tuen Mun, followed by a second study at Ap Lei Chau. Wong says this “confirmed the technical feasibility of desalination using reverse osmosis under local conditions to produce potable water complying with WHO guidelines”. However, Chan added that with the “improvements in related technology”, that there could be room for a “downward adjustment in the energy consumption in the desalination process”. The International Desalination Association (IDA) has been quoted as saying that the unit cost for producing potable water by seawater desalination using RO technology varied by country and region, ranging from $9.4 to $22 per m3. According to the WSD, the initial desalination plant will be able to produce 50 million m3/year and will eventually be expanded to 90 million m3/year. Together with collected rainwater and 820 m3 of water from the Dongjiang river basin, this is expected to help Hong Kong meet its potable water demand by 2030. Wong believes that Hong Kong will not only become reliant upon water from China and the new desalination plant in the future either. “We anticipate that flushing seawater, surface rainwater collected from local water gathering grounds, imported DJ water and potable water produced by seawater desalination will be our major sources of water supply in the future,” he says. WSD says the timetable for the facility will include: 2012-2014 – undertake planning and investigative study of Tseung Kwan O desalination plant and between 2015-2017 – invite tender for construction and seek funds from the Legislative Council. The date earmarked for construction is between 2018-2020. The secretary for development concluded that alternative sources such as reclaimed water will be reviewed and another desalination plant could be developed “as necessary when the technology is proven”. 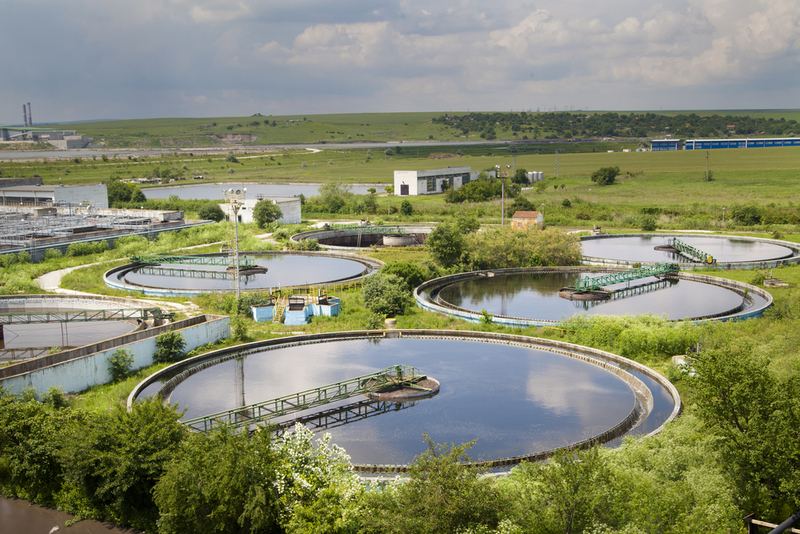 As well as boosting drinking water supplies, Hong Kong’s wastewater treatment is not being left untouched. Each day around 800 tonnes of sludge is produced by Hong Kong’s 11 sewage treatment plants, with much of it dumped in landfills. As a result, the 2000 tonnes/day sewage sludge treatment plant is due to be commissioned early next year that will produce over 20MW of electricity. Procured under a design-build-operate (DBO) contract, design consultants Arup says the $660 million project will be the largest “sewage sludge incinerator in the world”. The idea is for the facility to be self-sustaining: heat generated in the incinerators will be recovered for power generation. Surplus power will be exported to the regional electricity grid. Also, rainwater will be collected for non-potable use and wastewater will be treated and reused onsite. Operation of the plant, under a 15-year contract, will be jointly undertaken by Veolia Water and Veolia Environmental Services, and will generate average consolidated annual revenue of 20 million euros. The wavy shape of the building is inspired by the sea infront and the architectural design was provided by French architects, Vasconi. The Harbour Area Treatment Scheme (HATS) Stage 2A Upgrading Works is another multi-disciplinary infrastructure project worth HK$15 billion to improve Victoria Harbour’s water quality. The project will provide additional facilities to divert wastewater from Victoria Harbour to Stonecutters Island Sewage Treatment Works (SCISTW) for “chemically-enhanced primary treatment and disinfection”. Capacity of the SCISTW will be increased and a new pumping station will contain eight 2.5 MW centrifugal pumps, each rated at 4 m3/s. The pollutant levels will also be further reduced. In particular, sewage pathogens (E.coli) will be reduced by 90% in the harbour environment after disinfection facilities are in place. Toxic ammonia will be further reduced by an average of 10%, and nutrients in terms of total inorganic nitrogen and phosphorus (which in rich supply can promote excessive algal growth) by a further 5% and 8%, respectively. The dissolved oxygen level is also expected to further increase by 5%. Hong Kong’s Drainage Services Department says “all statutory procedures, including the approval of Environmental Impact Assessment” have been completed. It is expected that the whole of Stage 2A will be commissioned by 2014-2015. While Hong Kong has been largely reliant upon China for its water resources in the past, plans are in place to make it more water independent. The new Tseung Kwan O desalination plant can take lessons from Asian water hub Singapore’s experience when it comes to using the latest technologies in desalinating water. Furthermore, once complete the HATS and sludge incinerator developments will give Hong Kong modern, cutting edge wastewater treatment with a design that’s futureproof.